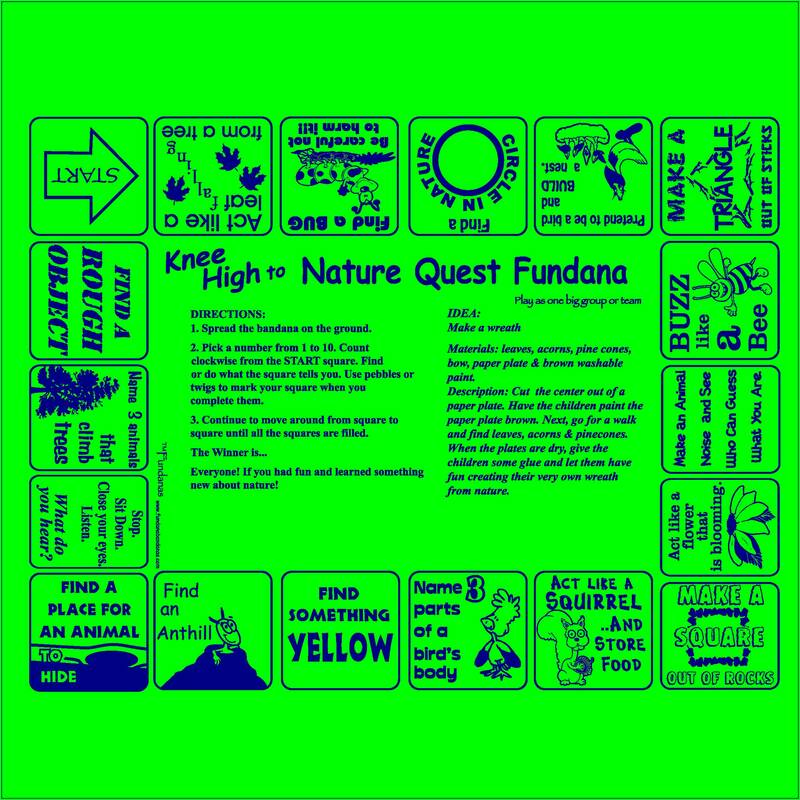 Our Knee High to Nature Fundana is a scavenger hunt for kids 3-6 years old designed to introduce them to the wonderful world of nature in a fun, different way. Some of the activities on the bandana are-"Buzz like a bee, make a square out of sticks, find something yellow, act like a squirrel and more! There is also a fun Make a wreath enrichment activity with simple instructions and materials needed to make a wreath with your child. Our Knee High to Nature is a unique, easy way for parents, grandparents, early childhood camps/programs to introduce young children to nature making discoveries, learning and having fun outdoors. The Knee High to Nature Fundanas are printed on soft lime 100% Cotton Made in USA bandanas. "I did a Toddler Camp using your "Knee High to Nature Quest" Fundanas and the camp was so popular I have had to schedule another camp!"